Today’s popularity of online dating has made romantic life much easier for most people. But it has also made it much less responsible. It has never been so easy to find a one night stand or a romantic fling. This, in turn, makes it somewhat harder for serious-minded people who were raised in strong faith in God and are willing to build their lives around their faith’s principles. As a response to this challenge, Spark Networks – a network of online dating websites – has decided to open the opportunities of online dating to such individuals by starting a dating site that caters to them specifically. ChristianMingle.com is the place for people who want to build a lasting, God-centered relationship with a reliable lifetime partner or merely to find friends who share their beliefs and principles. Earnest intentions are the leitmotif of ChristianMingle. The moment you open the website, you see that it’s all about seriousness as opposed to fun and games that many other dating websites are overwhelmed with. It looks like the website’s administration sees all those bells and whistles as a distraction rather than an experience boost, and 12 million members in the US alone prove that they have a point. ChristianMingle.com primarily aims at serious-minded people in their late 20s through early 40s who are ready and willing to commit and settle down. These people should know what they want, and they are not to be distracted on the way. As such, the layout of the website is quite simplistic, or even Puritan if you will. It may seem somewhat boring to some, but ChristianMingle’s users beg to differ. They admit that it makes the navigation much more straightforward and intuitive and that they don’t need to spend that extra second thinking about what that little button is for or finding the necessary function in a sparkling mosaic of buttons they never use. In their eyes, it makes this website more convenient than the competition. This approach also appeals to the not-so-tech-savvy audiences. Following the website’s philosophy that we have described, the signing-up process is direct and straightforward. First, you enter your email address and verify it, or you can also login with your Facebook profile. You then answer a series of simple and direct questions – some of them are essay-like, but most are multiple-choice. For the most part, those are the typical questions one would expect at a dating platform (age, ethnicity, location, etc. ), but some are unique – for example, your denomination and perish, your readiness to relocate, etc. Most questions are not obligatory to answer. Notably, the marital status entry does not have a “married” option – apparently, because a married Christian person is not supposed to hang out on dating websites. Also, since 2018, ChristianMingle accepts LGBT+ people looking for a soulmate who’d share their beliefs. The whole process takes not more than five minutes, but it doesn’t mean that you’ll be ready to go Christian-mingling right away. Upon completing the questionnaire, you have to upload a photo (up to six photos, in fact), and it needs to be verified by the website’s staff. They claim that the verification may take up to 2 days, but usually, it’s ready within a few hours, after which you get notified by email. Only then can you start interacting with other users. You will see automatically generated matches based on the information you have entered about yourself and your preferences and, of course, your location. If you don’t trust the automatic match generator, you are welcome to browse the profiles yourself. The search filter allows you to specify all the same characteristics that you had to enter while creating your profile. There is a possibility to receive and send messages. If you are having trouble with finding words to start a conversation, you can attract your interest’s attention by winking, sending them an E-Card or “liking” their profile and declaring yourself as their “Secret admirer” (which, admittedly, is a weird term since there’s no secrecy to it). You can block users whose messages you have found offensive or otherwise inappropriate. There is no need to state why you do it, but you will have to give a reason if you want to report such a user to have them banned from ChristianMingle.com permanently. There is a chat room and message boards where you can mingle with other members. The topics there revolve heavily around faith and religious experiences. ChistianMingle holds regular offline events for its community in various parts of the US. ChistianMingle is not too big on anything other than actual communication between the members. Still, they do offer a selection of other features to help the more shy users introduce themselves better and get involved more easily. Notably, the test results get published for other members to see only if you consent to that. Members can pass the famous Hartman’s Color Code test to determine their personality. 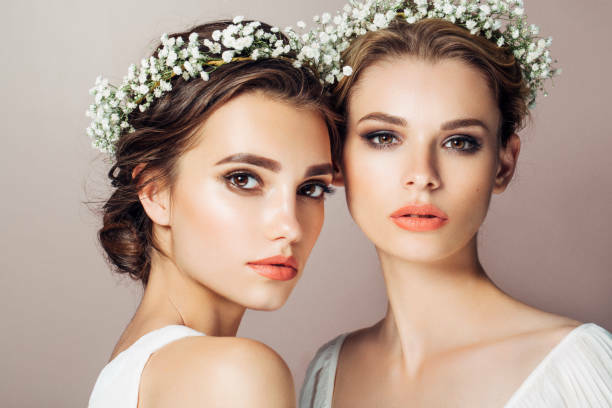 It is also beneficial for finding out about your compatibility with other personality types and becomes particularly helpful if your interest has also passed this test and you can see their “color” instantly on the website. If you don’t believe in the Color Code theory, you can opt for a more down-to-earth COMPASS test. It’s much like a test that college students pass. It comprises of multiple-choice questions, and your answers get compared to those of other members to determine your potential compatibility. It is another multiple-choice test that determines how ready you are for a serious commitment. This one is quite revealing, and it’s more useful for the user passing the test than to the audience. Be reminded that there’s an option to disclose your test results to other members or to keep it to yourself. This feature is an integrated part of the matching systems. Members get the opportunity to view one photo (with a headline and brief characteristics of the member) and “like” or dislike” it by giving it a heart or an X. The profiles you liked will get bookmarked for you, and those you didn’t like won’t show up in your automatically generated matches ever again. Most of the functions necessary for meaningful communication are available for free, but there is a paywall for some of the essential features. For example, free members cannot send messages to other members first. If you don’t buy a subscription, you can only send your interest a wink or an E-Card and hope that they will get interested enough to drop you a line. Fortunately, answering messages is free, and then you will be able to write them back. Alternatively, you are welcome to interact in the common chat room or on message boards, – those options are also free. Signing in without appearing as “online” to other members. It is beneficial if you want to chat with only one (or several) users without getting distracted by others. As you can see, the benefits of the paid version are notable but not essential. If you don’t wish to buy a subscription, you can still have a meaningful and enjoyable experience with ChristianMingle.com. 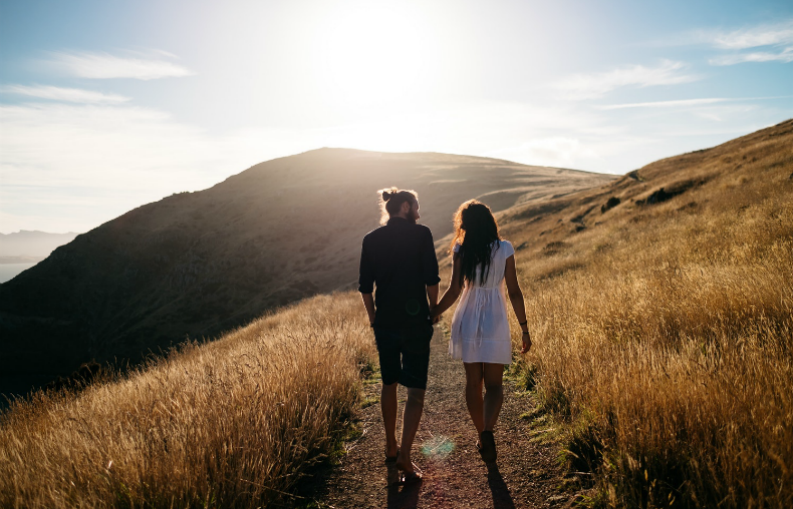 One might assume that buying a subscription and appearing to other users as a premium member is more like a symbolic sign that you have serious intentions about finding a lifetime partner here, at a religion-centered dating platform. Fortunately, the price of the subscription is also quite symbolic. The standard subscription costs $29.99 per month, but the price drops twice if you subscribe for six months at once. Similarly, the premium subscription costs $49.99 per month or $194.94 for six months ($24.99/month). ChristianMingle has made themselves available for both iOS and Android users. However, following their distaste for bells and whistles that we have already discussed, this dating platform did not add any extra functions to its app version. They merely wanted to be accessible for their members on the go: you can communicate through their platform wherever and wherever it’s comfortable for you, and you also get notified when someone messages you. Also, using the app provides for a more accurate location. The subscription prices remain the same regardless of whether you use the app or desktop version (or both). Privacy and safety are critical concerns for everybody who dates online. As such, every dating platform states them as their top priorities. ChristianMingle.com, however, is the platform that takes it most seriously. Users have to undergo thorough verification procedures before becoming fully-fledged members of the ChristianMingle community. However, if you feel like that job was insufficient and come across someone who seems to be fishing for money or behaves otherwise inappropriately, the staff encourages you to report this person. When a user gets reported, the staff will screen them to double-check whether or not the profile is indeed genuine and the person behind this profile is indeed well-intended. You can find more safety tips on the ChristianMingle.com website. ChristianMingle is arguably the most safety-concerned online dating platform on the Internet, – and, by extension, arguably the safest, too! Here, you can feel safe in the community of kindred spirits. After all, this is an absolute must for enjoyable and successful online dating. 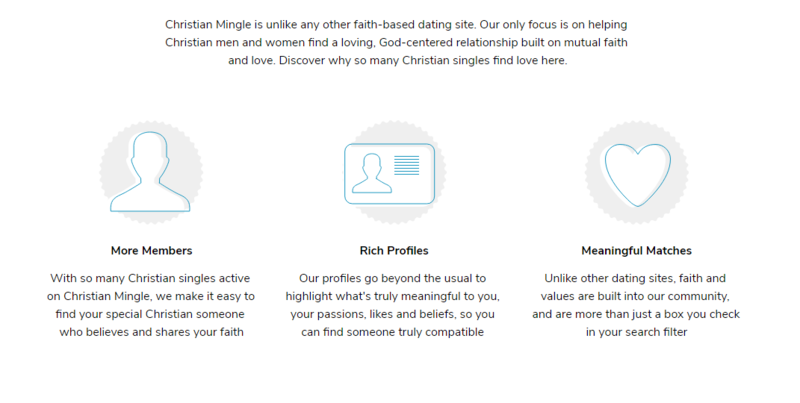 As we have already discussed, ChristianMingle does not expect its users to be tech-savvy. As such, they have gone to length to make their customer support as reachable as possible. First of all, the FAQ section of the website is written in “Simple English” and covers pretty much every issue one may come across during online dating. It is worth noting that, with such a simplistic set of functions, the amount of possible issues that may arise is also minimized. If you can’t (or even merely don’t want to) resolve your issue yourself with the help of FAQs, you are welcome to reach ChristianMingle’s customer support. They usually answer emails within 24 hours or sooner. If this turnaround time is not acceptable for you, you can contact them by phone. The support agents deserve praise for their friendliness and discretion. ChristianMingle.com is undoubtedly the best dating platform for people who value their relationship with God and want to build their personal life around it. Stats show that ChristianMingle users are mostly people between their late 20s and early 40s – the age where one seeks to settle down but is not in a rush. This is the audience that ChristianMingle targets at, so if you are looking for a one-time hookup or a discreet relationship on the side, you’d better look elsewhere. On the other hand, ChristianMingle.com is the ultimate place for people looking for a lifetime commitment (not only to God). An overwhelming number of grateful users testify that they have found love here. Notably, they specify that it took up to a year of communication before the two were ready to make the next step. As such, one final piece of advice to a potential ChristianMingle user: relax, don’t rush, and buy the longer subscription.